Well, the devastation is tragic, but I have seen many, many miracles. A week ago, my Facebook page was riddled with angry and hateful posts in the wake of the racism and violence shown in Charlottesville. Our country seemed more divided than ever. Today my feed is overwhelmed with images of people of all races working together to help and rescue each other. Churches, mosques, synagogues, are all opening their doors to help those in need. 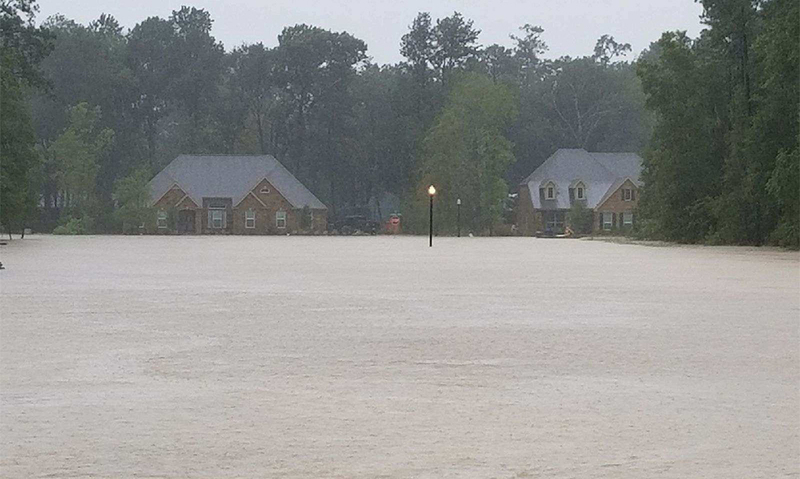 People are giving up their money, their homes, even their safety to help neighbors and strangers. A horrific disaster hasn’t brought out the worst in us, it’s brought out the best and shows how united our country can be. That is a miracle! Though any loss of life is heartbreaking, the casualties in this storm have been shockingly minimal. When I lived in Los Angeles, I remember it raining very lightly one morning, and three people died just because of traffic. As I write this, less than ten people are known to have died so far in this storm. To put that in comparison, within the same time frame that the storm has taken place, eight people were murdered in Chicago alone. If we go back to the beginning of last week, the number of murders more than doubles! So, the biggest storm to ever hit Texas has taken fewer lives than the evils of man in one city in one week. Again, any life lost is heart-wrenching, but with the scope of this flood, so few casualties is a miracle! I have seen two posts where lost babies have been found without their parents and another where a father was missing. The messages were sent out so fast that before I could even share the post, the babies were reunited with their families and the father was found. That is a miracle! A horrific disaster hasn’t brought out the worst in us, it’s brought out the best and shows how united our country can be. That is a miracle! 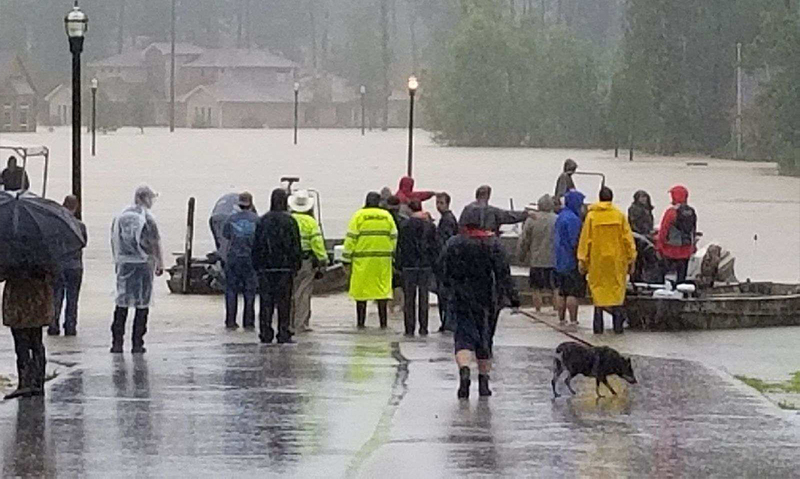 Dozens of my friends in Houston have had to be rescued from their homes. One family had to be rescued twice — once from their home, then again from the home they had used for shelter. Some of them had just built new homes that are now destroyed. But, you know what? Nearly all of them have been praising God for their safety! They reiterate that their homes and their possessions are just things. They have echoed Matthew 6:19-20, “Lay not up for yourselves treasures upon earth, where moth and rust doth corrupt, and where thieves break through and steal: but lay up for yourselves treasures in heaven.” Are they upset that they’ve lost their homes? Of course they are, but the loss hasn’t devastated them. Their lives have been built on a foundation of Christ and not on worldly possessions. Their joy is in the Lord. This message has been posted all over social media. People are seeing Christians do more than proclaim Christ, they are seeing them live in Christ. That is a miracle! Even with the personal connection of my family living in Houston, it is hard for me to truly grasp what is going on. I look at the images and videos and it seems surreal. I’m sure many of you feel the same way. Don’t feel guilty, it’s hard to grasp. Focusing on any guilt is focusing on yourself. Instead, focus on prayer! Pray that the flood waters will subside. Pray that those trapped will be rescued. Pray that there is no more loss of life. Pray that the rescuers have the strength to press on. Most of all, pray that through all this turmoil the world will see the love of Christ shine above all! If you would like to help those affected by this storm, consider donating to Samaritan’s Purse at https://www.samaritanspurse.org/disaster/hurricane-harvey/. As a Christian organization, they are there to help with the physical needs as well as the emotional and spiritual needs of all the victims.